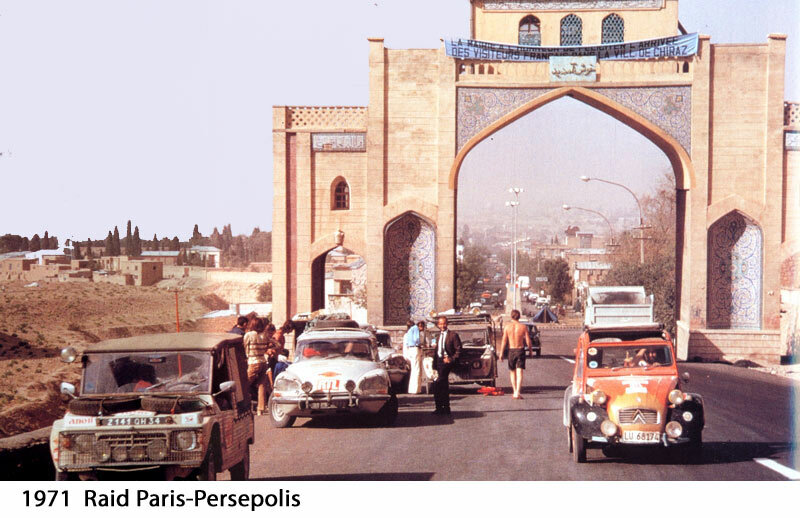 This level of preparation should be undertaken for journeys in Eastern Europe or the Middle East, such as the “Raids” Paris-Kabul-Paris (1970) or Paris-Persepolis-Paris (1971) where major problems and obstacles to driving are not expected. – Fit two spare wheels with tubed tyres. Fit P.0. type front bumper and sump shield: this is absolutely vital. Refer to the table for further details; Ensure that all tyres are in perfect condition and fitted with inner tubes. P.O. stands for Pays d'Outre-mer (overseas countries). 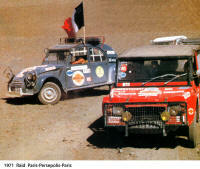 It's the Citroën name for cars with special preperation, making them more suitable for difficult terrain. Citroën A-types have a long P.O. history, the first P.O. 2CVs being built March 1954. 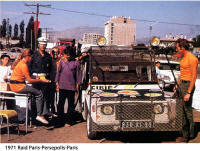 All Mehari have some P.O. preperation, especially the 4x4. The most famous P.O. of all is the 2cv Sahara. This is a twin engined 4 wheel drive 2cv, quite rare nowadays. 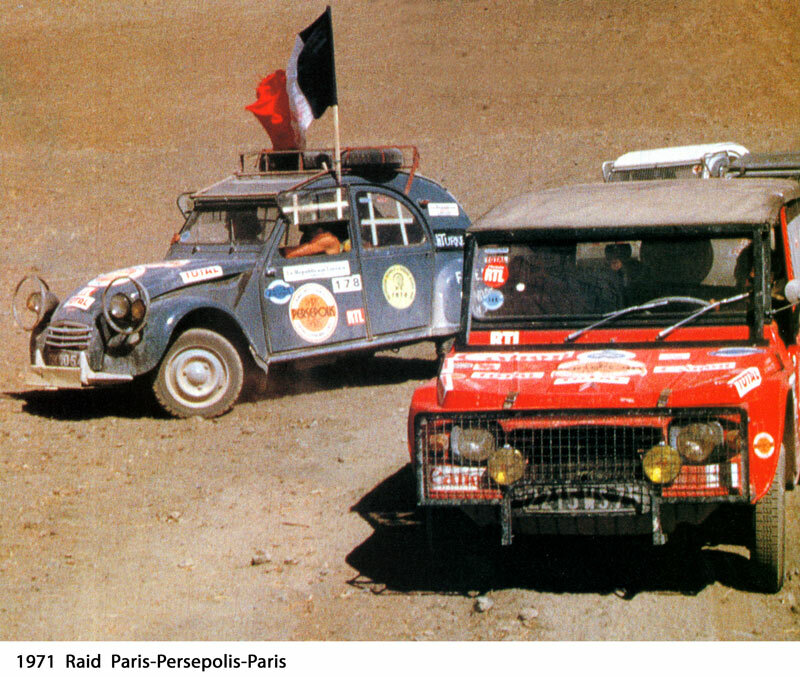 In the 70s Citroën organised some rally raids for 2CVs and derivatives. These were long journeys through desserts and other normally not encountered terrain. 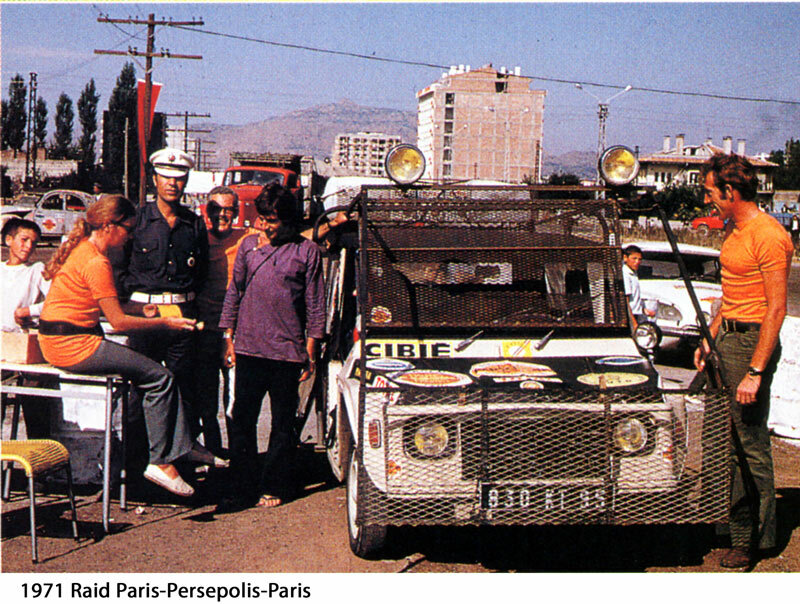 To prepare the participants for these raids, Citroën published the book Ici commence l'aventure. 1 torch with spare batteries. Jerrycans of fuel depending on intended route and distance.